Pajama Jams founder Erika Tucker talked about their pajama drive and the motivation behind it, and how you can help. Click here to watch story on WAVY10 now! PJs for the Holidays Kicks Off! 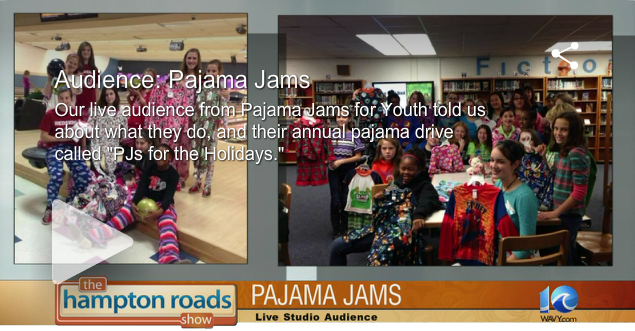 2014 PJs for the Holidays – Another Success!